When witches go riding, and black cats are seen, the moon laughs and whispers. It seems that Halloween is on the way! Happy Halloween! WonderFox is now holding a special Halloween giveaway including WonderFox DVD Video Converter and WonderFox Video Watermark. WonderFox DVD Video Converter must be the ideal DVD converter, copying any encrypted DVDs with CSS, region code, RCE, Sony ArccOS, UOPs, Disney X-project DRM and the latest encryption techniques. Besides, it can also enables you to convert any video and audio formats to nearly all media files without any quality loss. Meanwhile, downloading video from YouTube is supported as well. Within some clicks, it is simple to download video files from the web and then transfer the videos to your portable devices. 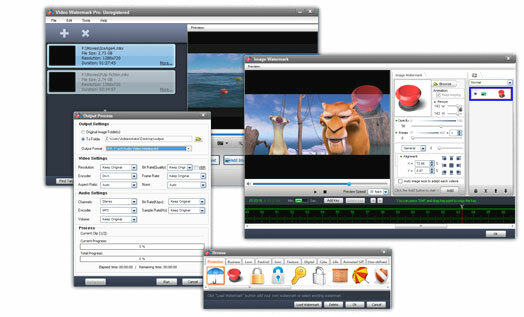 Video Watermark enables you to embed text, image(include animated GIF) , logo to your videos in batch. It has a friendly interface with a very high speed process. You are able to finish it with few clicks, and also you have no need to wait too long, it is an excellent way to protect and your own video. To know more here. And then click the Get It Free button before Nov. 12, 2015. Related to "WonderFox Halloween Gifts – Two Hot Software Free for Everyone"